Dave Eggers’ The Parade is a concise, finely executed work of understated elegance. It’s the kind of extended parable that need not flood you with backstory about its principal characters, and is even reluctant to mention their actual names. Labeling them instead with numbers appropriately reflects the way people of differing cultures perceive each other as objective hazards to be avoided and ignored. 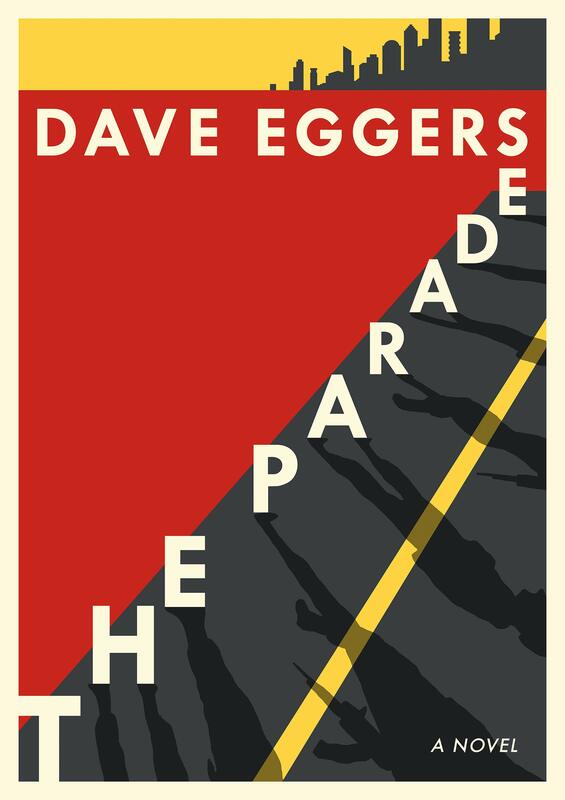 Eggers’ novel is therefore a tragic reminder of the self-serving bias that permeates our understanding of international relations, too often decalibrated by our misguided emotions. In an unspecified third-world country at the tail end of civil unrest, two men from an unspecified first-world nation are dispatched to pave a road connecting a modernized capital city to many of its comparatively impoverished constituents. The two pavers are only ever referenced by the numerical aliases Four and Nine. Four operates the remarkably self-sufficient paving device called the RS-90, while Nine scouts up ahead to clear out potential obstacles (inanimate or otherwise). Four’s by-the-book approach to this technical work in a dangerous pocket of the earth clashes heavily with Nine’s reckless escapades. The precarious situations into which they descend shed much-needed light on their ultimate reason for being there, as well as the true nature of the seemingly untrustworthy citizens around them. At first, Nine’s unprofessional behavior reads as a cheap and repetitive source of narrative tension. They’re on orders not to consume any of the local cuisine, but Nine indulges anyway. He’s supposed to wear a helmet to protect against malaria, but can’t be bothered. They’re supposed to keep interactions with passersby to an absolute minimum, but Nine carouses to his heart’s content. While this push-pull dynamic is at first stale, the more interesting layer introduced is the extent of Four’s inaction, and his eventual obligation to help Nine once in true trouble. The real tragedy isn’t Nine’s refusal to follow protocol, but rather the professional safety standards that refer to genuine human beings as mere weeds to be ignored. This nondescript country can stand in not only for any suffering nation but even for marginalized groups within the developed world. Its civilians receive meager wages and struggle to make it on subsistence farming, therefore many of them hustle for any potential enterprise. When Four moves a malnourished boy blocking the path of the road, lifting him is like holding a hollow human being with the heft of a marionette. Yet while all this suffering occurs, Four marches through it all, on his own parade—mere feet away from the agony, but largely disconnected from it. After all, Four has extensive experience working in zones of violence and atrocity, without ever needing to partake in either. As one local points out, without the war and the waste he wouldn’t be here, a direct beneficiary of the military industrial complex. Four views his surroundings as the standard formula of what to expect in a developing country following a war. This is directly suggestive of the global hegemony’s one-size-fits-all approach to dominance and geopolitical governance, in all its arrogant folly. It is in this context that Nine, despite all his frustrating recklessness, emerges with far more humanity. He genuinely cares about meeting the locals and helping with their struggles, while Four’s rigid value structure can only label this a deviation from their inflexible professional agenda. After a harrowing journey during which the ultimate moral compass isn’t readily apparent, The Parade’s concluding sequence helps make sense of everything that occurred in the lead up. It’s the sort of ending that is brave, jarring, and will stay with you without asking your permission. Eggers doesn’t peddle policy recommendations for any specific geopolitical conflict, but presents a salient, articulate reminder: When reading journalistic reports on these ever-present global conflicts, thorough introspection is required to identify the true villains. It is this kind of investigative due process that our clickbait headline culture seldom affords.